The Pentagon’s delay in deciding whether to scrap or refuel nuclear aircraft carrier USS George Washington (CVN-73) will add almost a year of delay in refueling if the Department of Defense decides to keep the carrier, officials with Huntington Ingalls Industries (HII) told reporters in a briefing on Tuesday. The Navy is currently withholding most of $243 million in funds for the refueling and complex overhaul (RCOH) — issued as part of the Fiscal Year (FY) 2014 budget — for the carrier pending a decision as part of the FY 2016 budget submission whether or not the Pentagon will be able to afford keeping George Washington in the fleet, HII officials said. “The Navy has elected to withhold most of that because there is no RCOH funding in FY 2015 and beyond [in the current budget],” Ken Mahler, vice president of Navy Programs at Newport News Shipbuilding, told reporters at Navy League’s Sea Air Space Exposition 2014 at National Harbor, Md. The Navy had planned for a $796 million line item in the FY 2015 budget for long lead materials before Secretary of Defense Chuck Hagel’s announcement in February that the Pentagon will take a wait-and-see approach on keeping the carrier. If the broad sequestration cuts as a result of the Budget Control Act of 2011. If the cuts stand, the Pentagon said it could not afford to keep George Washington in the fleet. Instead of starting with the all funds the Navy has set aside, the service released only about $63 million in funds for the defueling — with HII seeing $43 million of that total. “That’s not sufficient for an inactivation or a defueling,” Mahler said. RCOHs are among the most carefully timed maintenance work for carriers as part of their 50-year service life. The cost of the almost four year process is around $4 billion at the mid-life of the carrier that extends the service life for an additional 25 years. HII claims the delay of the more than $1 billion in funds ($243 million in FY 2014 and $796 million in FY 2015) will play havoc with their timing with the next carrier (USS John C. Stennis (CVN-74)) scheduled and could result — in a worst case scenario — in a reduction of workforce in their Newport News, Va. yard, Mahler said. Chief of Naval Operations Adm. Jonathan Greenert elected not to include the $796 million line item in the Navy’s final FY 2015 unfunded requirements list — vetted by the Pentagon — to Congress. The line item — that was intended to pay for long lead materials — was included in a draft version of the list given to Congress, reported last week by USNI News. 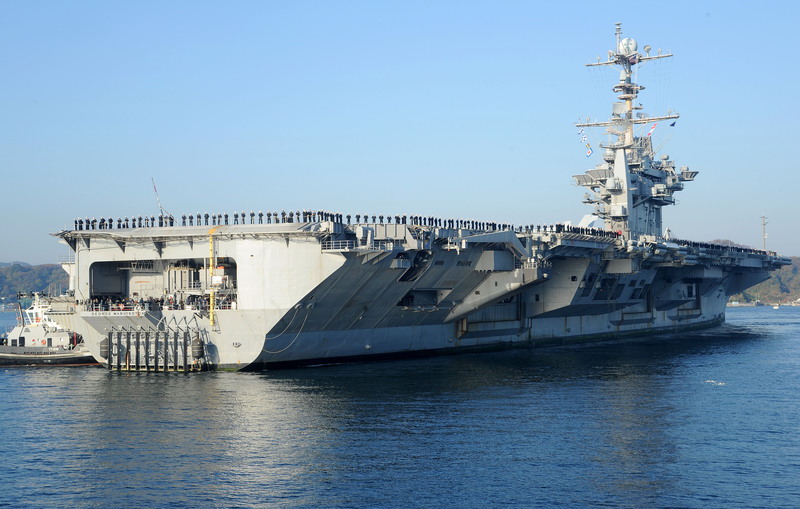 HII started work on the RCOH on USS Abraham Lincoln (CVN-72) last year after a delay due to budget troubles.